Dr. Stanley G. Katz, M.D., specializes in the diagnosis and treatment of knee and hip joint disorders, including sports injuries and arthritis. He received his Bachelors of Arts from Cornell University and his Medical Degree from Mt. Sinai Medical School. After completing his residency at Mt. Sinai Hospital he continued on to receive his Knee and Hip Fellowship at the University of Oxford, England. Dr. Katz has not only maintained a private clinical practice in Southern California for sixteen years, but has also dedicated many years of services to academic instruction in the field of Orthopedics. In 1976, Dr. Katz began teaching at the Columbia College of Physicians & Surgeons in New York City. His scholastic career has spanned over twenty years and extends to medical institutions in New York and California; including Mt. Sinai School of Medicine, Mt. Sinai Hospital, and the University of Southern California, School of Medicine, where his current position is Assistant Clinical Professor of Orthopedics. 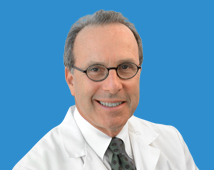 In addition to his work at USC, Dr. Katz has published and presented articles for a wide variety of medical journals and associations, including the Journal of the American Chemical Society, The Journal of Bone and Joint Surgery, The New York Academy of Medicine, and the Hastings Institute for Ethics and Life Sciences. Most recently, he was involved in the arthritis program at Rancho Los Amigos Medical Center, Downey, was team physician for Anaheim High School, and has served as consulting physician for various college teams.